People mostly try to determine how to retrieve their Instagram account if they have forgotten the necessary details. Logging in through the mobile app is automatic, so many users neglect their login or password. Also, your profile can be hacked and used for other selfish purposes. In extreme cases, pages are blocked by Instagram administrators. One of the most recurring difficulties is also the most easily solved. To regain access to your page try to restore your password in the login section. Then you must indicate your email address, phone number or username. After a while, you will get a link on your registered email or phone. Clicking on it, you will be able to create a more difficult password. 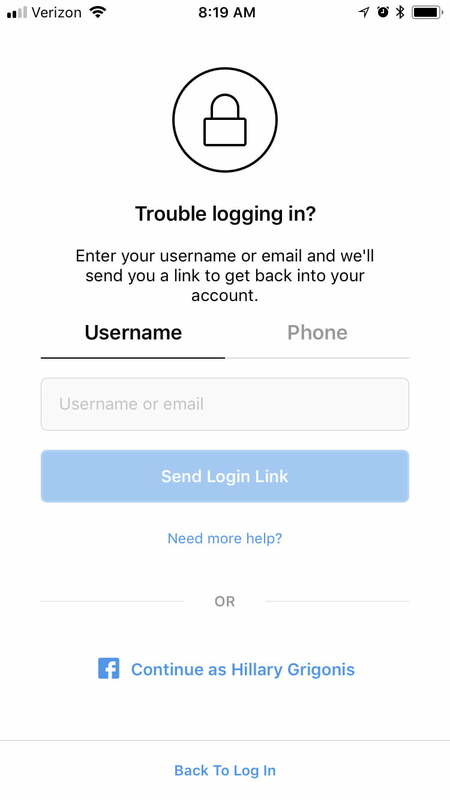 This scheme of restoring your Instagram account if you can't remember your password and login is standard and suitable for those who can use email or phone. Sometimes access to them is lost for some reason. If your page is cracked there is a high probability that attackers almost immediately linked other contacts to it. Instagram rules state that in this case, it has the right to deny your account restoring. Zengram is a great way to get rid of non-reciprocal followers! Log in to the app through your mobile device. Tap the “Need more help?” link. Type the email address you're using now. Prove your identity in one of the potential ways. You can verify your personality by taking a selfie with a special code penned on a piece of paper. If the account doesn't contain your photos, you can use another way, telling the technical support your phone number and device type indicated during the registration. 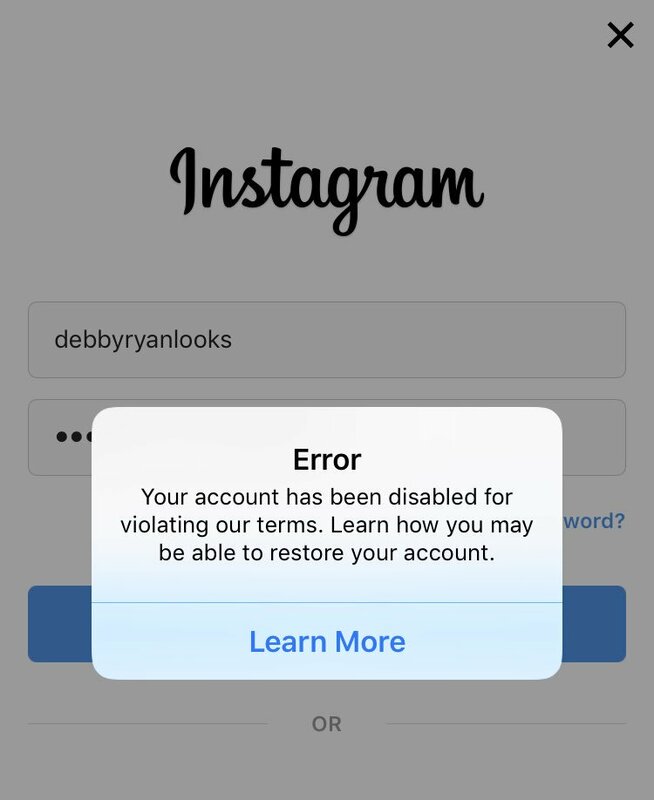 Another effort to log in to Instagram can turn out to be a problem when the service sends a notification about account blocking. It can be blocked temporarily or permanently. Anyway, you can try to dispute the administrators' decision. If you haven't deleted the account by yourself, you can still restore it. It's important to distinguish account blocking from blocking actions. The latter is a softer sanction from the administration and prevents the following or liking others accounts. If you temporarily block your account, it will be difficult to enter it within a set period of time. The latter depends on the severity of your violation. Also, blocking time is extended to those who contravene the rules not the first. The minimum blocking period is 24 hours. Eternal blocking is getting those accounts whose owners systematically violate Instagram rules. Constant violation of certain rules or the initial creation of a fraud account can provoke a blockage. Such a user will receive such an email. You can save your account from an eternal blocking only in one way. It's risky and doesn't guarantee a successful result. You must reach technical support and inform them that your page was hacked. This is necessary, even if the violation was committed by the user deliberately. It's almost unlikely to dispute the fact of the violation because Instagram algorithms identify such violators unmistakably. You must log in on the Instagram mobile app. Go to the "Help with the login" - "Need more help?" section. Provide the service with extra information about yourself. Probably the service will ask you to upload some edited photos in their original form. When pointing out that your profile has been cracked Instagram will ask to confirm your identity using a selfie. The result of such actions may be unblocking of your account. It will be announced in a special email. But no one guarantees the result. For each case is carried out a small check. If an attempt to cheat is revealed the account will never be returned. The main rule when unblocking via technical support is to carefully follow all the instructions and don't conflict. Typically, the support willingly believes that a user account has been hacked. Especially when to verify user' identity were taken several steps. The email doesn't come to a defined email address. The account has been deleted by attackers. Contacts specified during registration were irretrievably lost. An account has already been saved from an eternal blocking once before but the violation happened again. The worst problem is account removing. There are cases when attackers receive someone else's username and password, and then begin blackmail with the threat of deleting the account. Not only photographs but also correspondence are valuable because it will be unachievable to return them. You can save yourself from this if you will carefully click on third-party links. Don't incite hatred on racial, political and religious grounds. Don't get involved in cheating, trust only reputable services with accurate algorithms. Don't engage in illegal activities from your main profile. Attach your Instagram profile to another email address so that if the main address is cracked, you don’t lose all social network pages at once. There are so many different ways to get back your Instagram page. Another approach is needed for situations when you were hacked or the login data was lost. In most cases, Instagram is coming forward to customers. Only malicious violators won't be able to restore an account. The mechanism of restoring your Instagram account depends on why you have lost access to your page. Now you know how to solve this problem.